Safeguarding your data. Your dataÂ is yours. We don’t sell your dataÂ unless you ask us to sell your photos, and then we send you money. NoÂ ads amongÂ your photos. You can call us on the phone. If you don’t get us instantly, we usually call back in an hour. Lots more that you can read about hereÂ — and we’re adding to this list all the time. 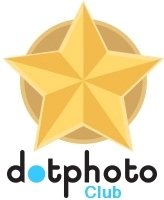 dotphoto is a straightforward photo service that — for less than a cup of Starbucks a month — provides more value than free services and never sells your data.